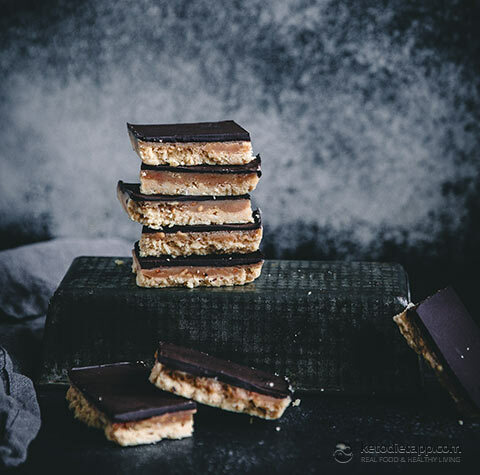 This re-imagined version of Caramel Slice, a childhood favorite is the perfect little treat for when you need a little indulgence without the massive sugar hit. This tasty keto fat bomb is the ideal high-fat treat if you keep your carb intake low. This slice is quick and easy to make, but a few tips to make it more fool-proof for you! The base layer should hold together well on its own, but if it seems a little crumbly after processing, add a teaspoon or two of water which will help hold it together. 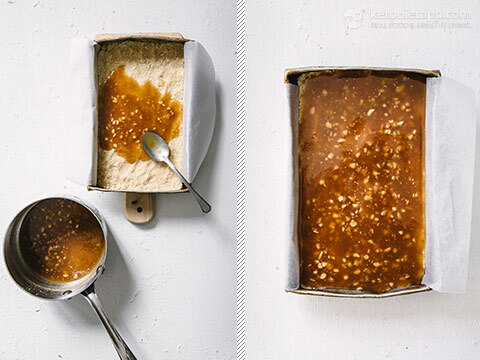 Don’t skip the browning of the sugar here – it helps to create the colour and flavour of the caramel layer. I don’t like overly-sweet sweets (oxymoron much!?) but if you do, I’d suggest you taste the caramel mix before pouring it onto the slice, and adding a little extra erythritol or stevia for a sweeter caramel. I use the same saucepan to make the caramel and melt the chocolate, which saves on washing up – always a welcome step! 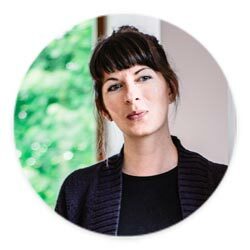 Looking for more treats suitable for a keto diet? 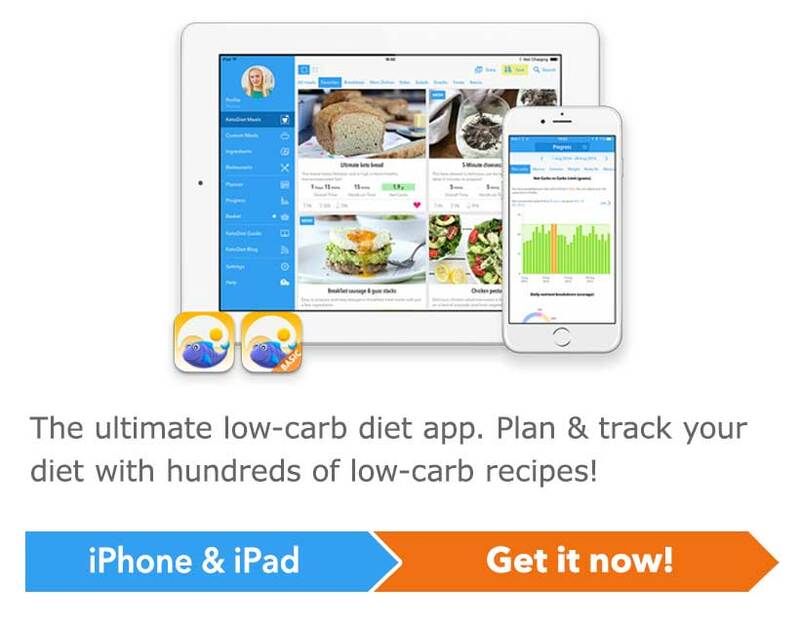 Check out our fat bomb recipes! Instead of Erythritol or Swerve in the caramel layer, you can also try yacon syrup. For a dairy-free caramel option, use my Keto & Paleo Caramel Sauce. 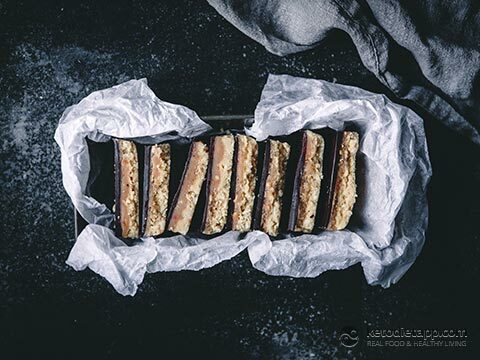 To enhance the caramel flavor, try this keto nut butter made with macadamias, cashews and coconut. You can also use roasted almond butter or toasted coconut butter. Here&apos;s how you can easily make any nut or seed butter at home. Another option to enhance the caramel flavor while keeping it keto-friendly is to add 1 to 2 tablespoons of mesquite powder. To make base layer, add all ingredients to a food processor and pulse until combined. The mixture should appear crumbly, but should hold when pressed together between two fingers. 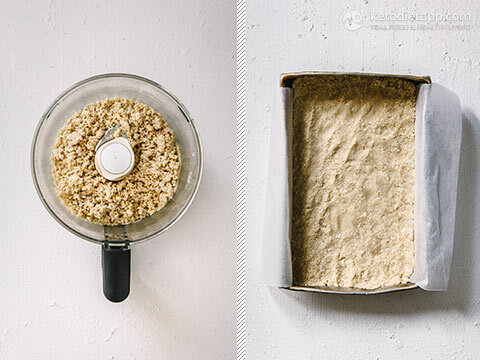 Press firmly into a loaf pan or small slice pan (15 x 23 cm/ 6 x 9 inches). 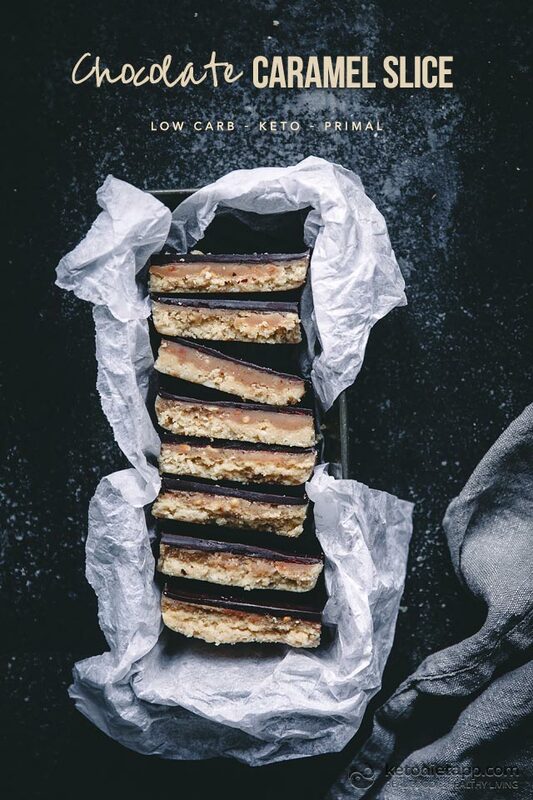 Place in the freezer while you make the caramel layer. 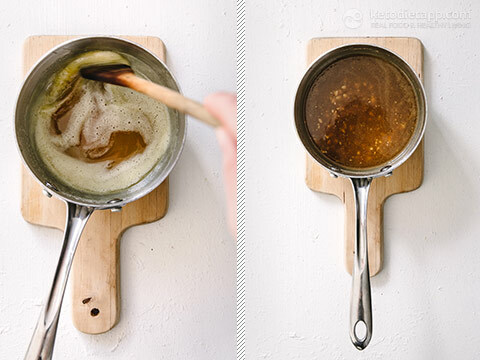 To make the caramel, melt the butter in a small saucepan over medium to low heat, stirring constantly, until it’s started to brown. Add the remaining ingredients and stir until combined, then reduce heat until just simmering, and cook 5-10 minutes or until it starts to thicken. Note that it will continue to thicken as it cools. Pour over the base layer, and spread evenly. Return to the freezer while you make the chocolate layer. 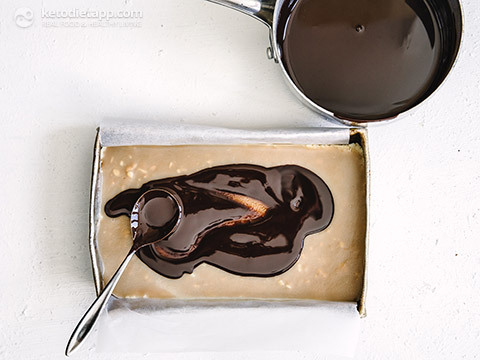 Melt the chocolate in a small saucepan or in the microwave, and then pour onto the solidified caramel layer. Spread evenly. Place back in the freezer for at least an hour to set. Once set, cut into squares or bars, and store in an airtight container in the fridge. To get 18 small squares: make 2 cuts lengthwise and 5 cuts widthwise. Alternatively to make 12 large bars: make 2 cuts lengthwise and 3 cuts widthwise. Keeps up to 10 days in the fridge, or two months in the freezer. Do I have to use a bit butter in it? Will anything go wrong if I omit it? Hi Courtney, it's in the "add the remaining ingredients" in step 4. I hope this helps! Hi. I have just made these and they are beautiful. Thank you for sharing your recipe. This I have to make sounds like millionaires shortbread.